So I had a pretty eventful year overall. Here's a summary of everything. As you can see, I maxed out over 200 miles in August and the majority of my miles are running. The half still remains my favorite distance. Michigan Mile(Flint, MI) 8/23(completed) - a new PR! 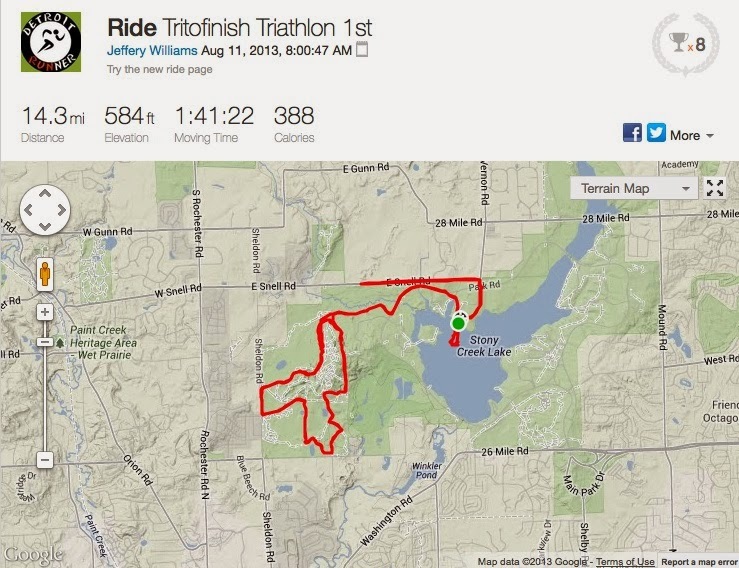 I ran my first triathlon - the Stony Creek Off Road Sprint Tri - and it was a fantastic experience. It was much harder than I ever thought it would be, but it was off road so that made it more difficult. I had one one PR and that was for my first one mile race ever. 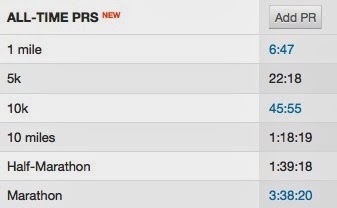 All my other PR's are for 2011 and 2012. I guess I'm getting slower! I did, however, get two age group awards including a 10k AG award at Alpenfest in Gaylord which was the second year in a row I placed in my AG. 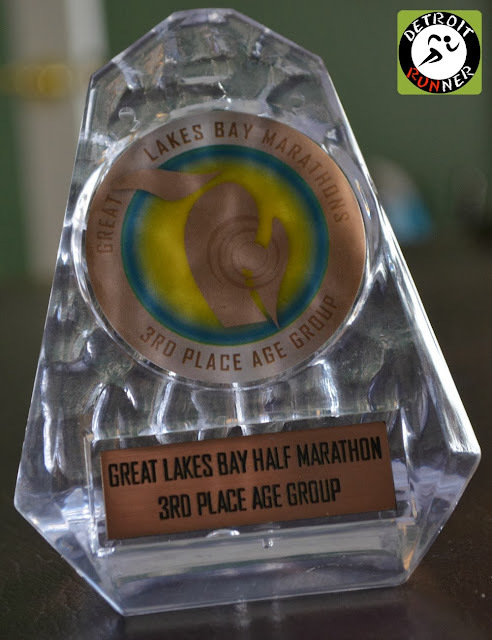 I also placed 3rd in the Great Lakes Bay half marathon, the first time I've ever placed in this distance which was exciting before because it's usually fairly competitive at that distance. I ran three trail races this year and loved them all! 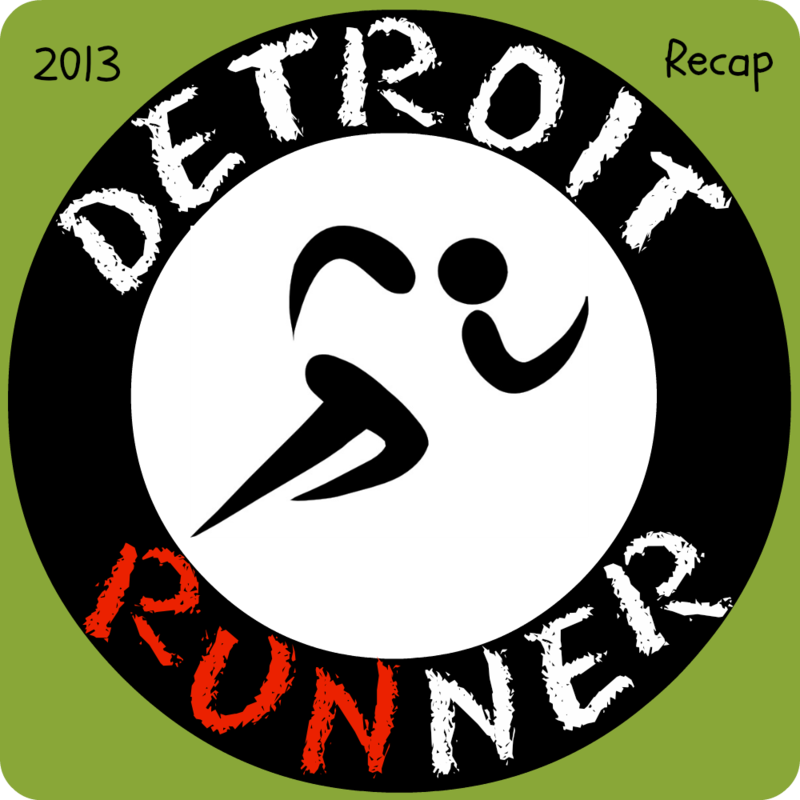 I also ran eight races outside of Southeast Michigan. 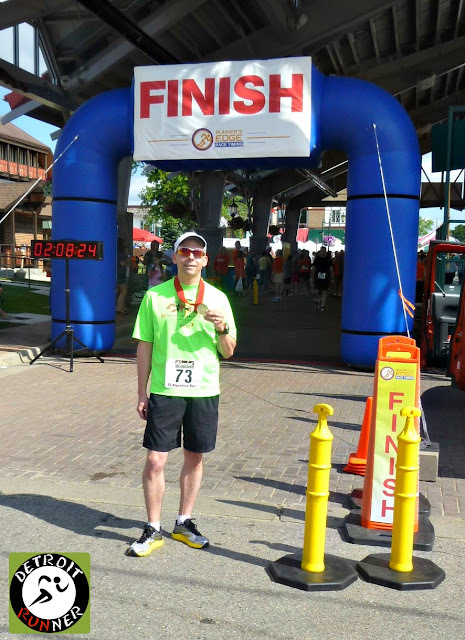 I ran my first race in Indiana and added a third state to my marathons. This was also my first failed attempt to BQ. I won't be attempting a BQ in 2014. I was fortunate enough to have five race weekends as vacations this year including three with my running buddies. These included Midland, Charlevoix, Gaylord, Glen Arbor and Indianapolis. These weekends are so much fun and the plan is to do more of them in 2014. Gaylord Alpenfest 10k - AG win! Hey - who's that guy to my right with no beard? Of all 23 races I ran, I ran 17 races new to me for the year. I love trying out new races so I get a variety. Of course, I had some favorites that I ran again as well. You can read my "best of 2013" post HERE. Overall, it was a really fun year of training and racing and I look forward to seeing what 2014 brings. Given my schedule is already fairly full through August, I know that I'll be having lots of fun sharing my races with all of you again. Nice job in 2013! You sure did run a lot of races and I've enjoyed reading the recaps. There are plenty of races I'm interested in trying thanks to your recaps. I'm looking forward to hearing about your upcoming 2014 races too! Thanks. It looks like you had a great year as well as a good one coming!